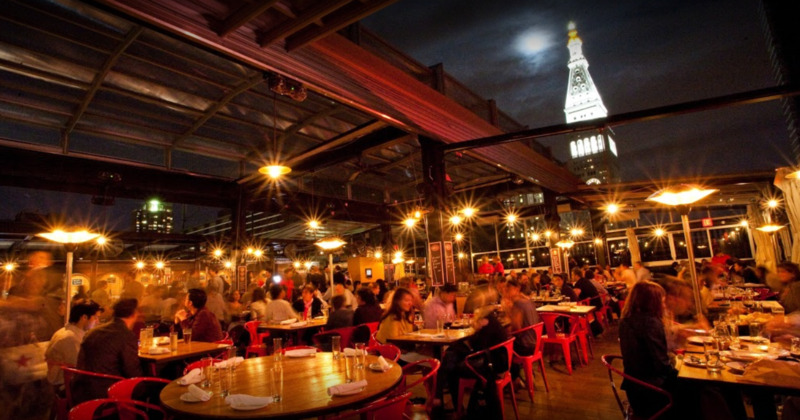 Enjoy beautiful meals on top of the city with our careful selection of 5 of the best rooftop bars in New York. Gallow Green is a strange rooftop bar, let’s be sincere. Maybe this is why it is so tantalizing. The surreal feel of this bar is unmistakable. As part of the McKittrick Hotel, this rooftop bar manages to maintain the unique look that sets this location apart. For one, there is the broken-down Scottish train car that has been surrounded by unkempt greenery, probably to rub the name in your face or to keep you on edge. But that is why this place is special – It is simply different. You will love the modern and well-made drinks, though. The buffet-style brunch enjoyed over live music in the background on weekends is almost magical. And the daily dinner? Well, try it once if you would be able to resist coming back. If you want more than a rooftop bar, head straight to Magic Hour. It is designed for eclectics like you. This is basically a whole playground – just for adults. There is the topiary garden and the mini-golf. The rotating carousel-style seating is another astonishing feature of this place. It is almost over the top (yes, pun was intended). But that is what you want, right. A beautiful rooftop bar to indulge for a while. This is just the best place to enjoy great drinks, play a few games and just have fun in general. You will return to the normal grind later, but here, you can escape! If you came here just for the drinks, well, you surely got no intro. 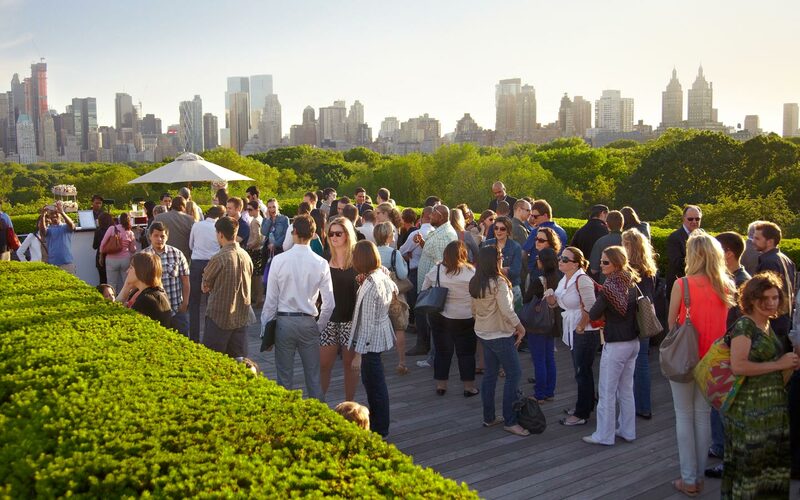 This is perhaps best place to get a perfect view of the vast Manhattan skyline. The view would greet you before you settle down to eat and drink, so take it in. It is more than worth it. Now, take a seat and take in the restaurant and lounge around you. The slickness and sophistication will convince you that this place is well worth your visit. The service and offerings are just excellent. You simply have to be there, sipping your drinks, to fully experience this place. The classy setting in this spacious rooftop clearly got its inspiration from German-style biergarten and Flatiron restaurants. There are more drinks to chill on than beer. Enjoy all sorts of drinks, from cask ales that are brewed onsite to cocktails and wine. Go really wild with their brews “alla spina” (on tap). If you love great drinks, this place is waiting just for you. 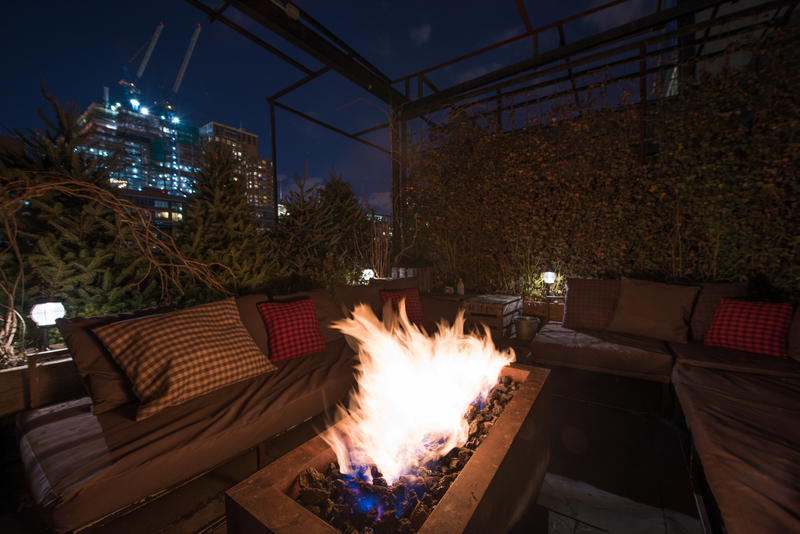 While you might have to pay $25 to get through the door if you are a non-New Yorker, the magic at this rooftop bar can’t be missed. Enjoy their special cocktails and wash them down with some beer and wine as you enjoy the views of the city. But there is more to view than the city here. The rotating art installations will keep you wowed as you enjoy the experience in this beautiful rooftop bar. No matter which rooftop bar you choose to visit, whether alone, with that special someone, or with a couple of friends, make it worth the experience and feel on top of the world.